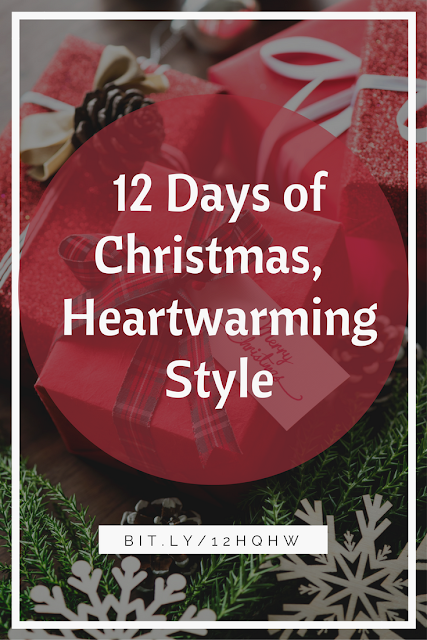 It won’t surprise you to hear that we got together and, with Christmas right around the corner, started listing our favorite Christmas carols. Naturally, The Twelve Days of Christmas made the list. One thing we are always grateful for during the holiday season are our fantastic readers, and we like to celebrate the season with giveaways! 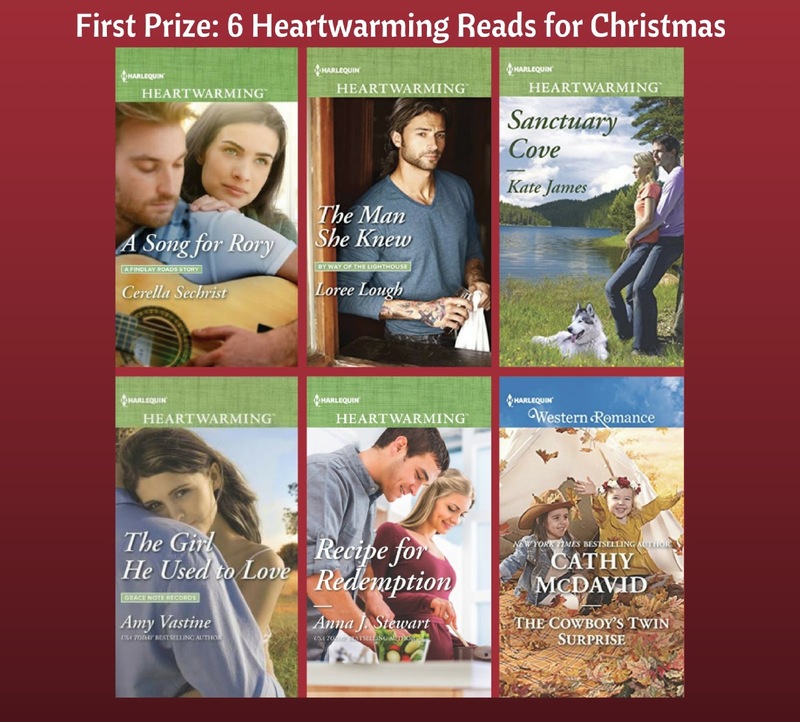 So here's our Christmas gift to one of you: ONE lucky reader will receive TWELVE Harlequin Heartwarming novels from various authors! And as a runner up, a SECOND winner will receive SIX novels from Heartwarming authors! Use the form below to enter. Until we see you again in January, we wish you and yours a happy, healthy Christmas and a bright and prosperous New Year! ABOUT CERELLA: Cerella Sechrist lives in York, Pennsylvania with two precocious pugs, Darcy and Charlotte, named after Jane Austen literary characters. Inspired by her childhood love of stories, she was ten years old when she decided she wanted to become an author. These days, Cerella divides her time between her working in the office of her family's construction business and as a barista to support her reading habit and coffee addiction. She's been known to post too many photos of pugs on Instagram and Pinterest. You can see for yourself by finding her online at www.cerellasechrist.com. Ladies, I'm going to have to borrow a couple of these Christmas spirited ideas from your characters. Especially the candy cane in the hot cocoa. Sounds delicious. And what a great giveaway! Thanks for including me. So Christmassy, right! Thanks for allowing us to add your book to the giveaway! Happy weekend, m'friend! As Carol says, I might have to steal some ideas from your characters! A fun post and great giveaways....thanks for including me, too! Feel free to steal some ideas from the characters, Janice. You'd be in good company! ;) Thanks for contributing a book to the giveaway! 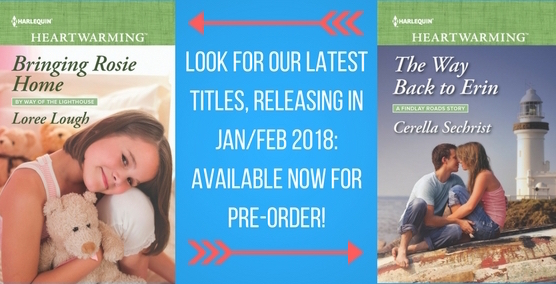 We're so proud that you let us add your book to the giveaway! Have a beautiful weekend, Janice, and here's hoping you're well on your way to being Christmas-ready! Love your Christmas ideas. Awesome. Happy holidays to all. We always have fun coming up with blog post ideas, and what's really cool is...we always learn a thing or three, too! Wishing you a wonderful weekend, Roz! Thank you, Roz! We're glad you enjoyed! Happy holidays to you, too! What a fun post! You ladies are determined to get me into the Christmas spirit! Some years, it takes me longer to get 'with it.' (Let's face it: At my age, being 'with it' is rare these days! LOL) I missed Christmas altogether last year, but I'm making up for it this year! Have a great weekend LeAnne! That was our goal, LeAnne, so glad we succeeded! ;) Merry Christmas! You're so right, Anna...who doesn't love receiving books for Christmas! Wishing you a wonderful weekend! AGREED, Anna! From the time I was able to read on my own, my Christmas wish list has always contained a long request for books! You just posted a stocking stuffer idea for your family or friends, Cathy: Note paper! LOL I love that, because I'm a list-maker and note-taker, too! Enjoy your weekend! lol! I know, I though our character had some great ideas here - I'm going to keep some notes myself! ;) Thanks for contributing to the giveaway! What a wonderful and generous giveaway chance. Books are my favorite gift. I'm going to borrow some of those 12 ideas. They are great. Thank you. Happy Holidays everyone. So happy you stopped by, Carol! I'm with you--books are one of THE best gifts! You're more than welcome to borrow our ideas...if you promise to tell us which ones and how much fun they inspired! Wishing you a wonderful weekend and lotsa luck in the drawing! We're so glad to be able to offer this giveaway, Carol! 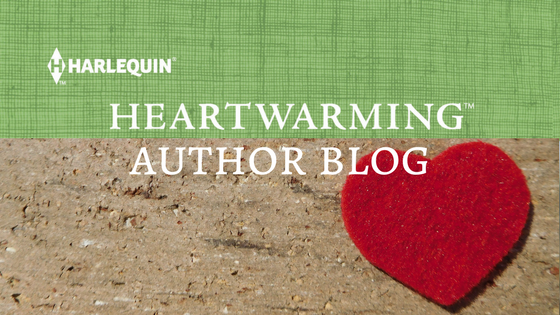 My fellow Heartwarming authors are always so generous when it comes to our giveaways. :) Good luck with the drawing! Imagine how fun a Christmas party with all these characters attending would be! And great food, too. Always great food, Beth! LOL I imagine a party with those folks would be anything BUT boring! LOL Have a beautiful weekend, m'friend! Thank you for the chance to win an absolutely wonderful and most generous giveaway! What a wonderful way to get into the spirit of Christmas, Kay! You've inspired me! Here's hoping you have a wonderful weekend...and good luck in the drawing! What I do to get ready for Christmas I decorate my tree, make Christmas cookies & go Christmas shopping. Thanks for your great generosity. We're with you, Linda, sending huge and heartfelt thanks to all our author pals who shared their beautiful books for this giveaway. Talk about generous, huh! Here's hoping the hustle-bustle of the holidays will leave you energized rather than exhausted. Have a happy weekend...and good luck in the drawing! These are all wonderful ways to get into the spirit, Linda! I like the way you think! Thanks for your contribution to the giveaway, Karen! Yer a peach, I tell ya! Wishing you a wonderful weekend and Christmas ready-ness! Amazing giveaway! Good luck to those who enter and Happy Holidays to all! Thanks for stopping by, Rula! We wish you a wonderful weekend! Thank you, Rula! And happy holidays to you, too! I'm so happy to be included--good look to all who enter! We're proud as we can be that your Heartwarming novel is among the prizes, Virginia! Thank you so much! Have a splendid weekend, and here's hoping your Christmas prep will leave you feeling energized instead of exhausted! Me, too, Virginia! I'm so glad GIRL IN THE SPOTLIGHT is part of the giveaway! I love this post and the great ideas from your characters! What an awesome, generous giveaway! MERRY CHRISTMAS to each one of you! I love listening to Christmas music and carols on my favorite Christian radio station or on CD's. Love how the house smells when baking Christmas cookies and goodies to share with loved ones, that certainly puts me in the Christmas spirit. And reading a good book from one of my favorite authors. I love all your 'getting inspired for Christmas' suggestions, Tina! Cookie baking tops this week's To Do list. Have a terrific week, and good luck in the drawing! Perfect suggestions, Mrs. Tina! I love all of these ideas! :) Good luck with the giveaway! I love giving toy catalogs to my grands (from CBD) and watching them get excited about all the possibilities of presents! I love taking them shopping to fill shoeboxes for Operation Christmas Child. Then, we make our gingerbread house/train/whatever project to top off the weekend. This year will mark our 5th year of doing it (the oldest is 7). Another way of getting in the mood is to make our family's traditional kulache pastries, handwritten from my Great Aunt Agnes' hand when she taught me to make it many years ago. What a beautiful, generous idea, Michelle! Teaching children that giving really IS as satisfying as getting is one of life's best lessons. This week, I hope to cross "Bake Christmas cookies" off my To Do list. I'll be thinking of your kulaches when I do! Wishing you a wonderful week and good luck in the drawing! I love the post and am glad to be included in the giveaway! We're tickled pink that your book is one of the prizes, Liz...and the winner will think so, too! Have a wonderful week, m'friend! We knew what you meant, Liz! And we're thrilled you're part of the giveaway, too! Thank you for including me in your fabulous giveaway, Cerella and Loree. I can hardly wait for January now! I love both your covers!! It's our genuine honor to add your book to the prize list, Kate! Thank you for agreeing to participate! We love it when readers get to know just how talented our Heartwarming friends are! Have w beautiful week, my beautiful friend! Thank you, Kate! Always love these Heartwarming covers! ;) Thanks so much for being part of the giveaway! I love the Christmas music this time of year. I also love looking at the lights. I decorate the house, and then bake goodies. I put on the Christmas music, and then I READ!!! We have such a wonderful selection of Christmas stories to read!!!! 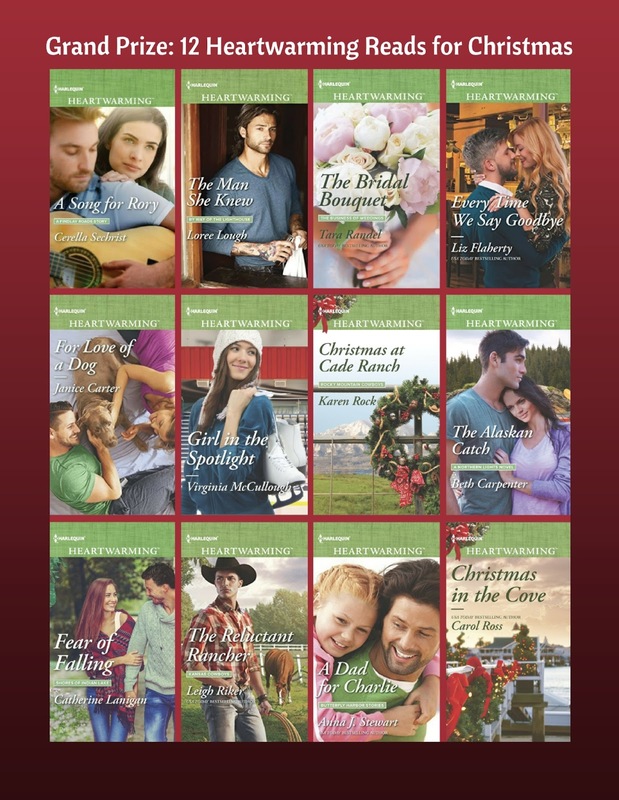 I'd love it if you'd share the titles of your Christmas story collection, Becky! Thanks so much for stopping by. We wish you a wonderful week and lotsa luck in the drawing! Becky, I think decorating is a great way to get in the holiday spirit...I just rarely take the time to do it! But I enjoy seeing the decorations this time of year! I have a hard time getting into the Christmas spirit. My grown sons help me though by still wanting to get stocking each year, it’s fun to be creative and out silly little things in 5here like mini games, candy and money scattered in the stocking . I live the ideas you gave and think I’m gonna use some of them. Our grown kids and their spouses still enjoy emptying their stockings, too, Deana! In addition to candy, gift cards, and keychain flashlights, I fill them with things like mini-boxes of push pins and paperclips, tape, pens and pencils. They love teasing me about the stuff...but always thank me for the practical, useful items. Thanks for stopping by, and good luck in the drawing! I hope you do try some of these ideas, Deana, and that your holiday season is merry and bright! Play Christmas music that I like to sing along to ;) Also, Christmas stories are super fun too! My neighbors probably wish I didn't love singing along with my Christmas songs, Fedora! LOL I sing in the house, and outside, too...while decorating, while feeding the birds, while gathering wood for the woodstove...so they really can't escape it! LOL Thanks for stopping by, and good luck in the drawing! What a great post ladies! :) Christmas songs always get me in the holiday spirit. (See what I posted in Fedora's comment! LOL) Something that always lifts my spirits is hearing store employees and shoppers alike singing along with the Christmas music that filters down from overhead speakers. If only that kind of enthusiasm was as contagious than cold and flu germs, right! Thanks for stopping by, and good luck in the drawing! One of our favorite things to do is drive around at night looking at all the beautiful Christmas lights! We play Christmas music in our car...and count santas or snowmen on our drive! Great math for the kids...and so much fun! Baltimore rarely gets enough snow during the Christmas season to count snowmen, but finding Santas among outdoor decorations would be a fun challenge! Thanks for the ideas, Laura! Wishing you a wonderful week and luck in the drawing! Thank you for sharing. I love playing and singing Christmas carols, decorating the Christmas tree, and baking Christmas cookies. We don't see our kids or grandkids for Christmas, so our celebration centers around church family and extended family. Top of my bucket list: Spending Christmas at our cabin in the Alleghenies...all the kids and grandorables crowded into the great room, jockeying to get close enough to add ornaments to the tree. Then, watching the kids open and exchange gifts, followed by a good old-fashioned country breakfast, sitting elbow-to-elbow around the table...followed by a grand feast in the same place! Unfortunately, work schedules make that next to impossible, so I'll thank God for the grand Christmas celebration that takes place in our dining room every year. Thanks for stopping by, Beth! We're wishing you warmth and love as you share your festivities with your church family! Putting the christmas tree up on thanksgiving weekend. This year I can not get into the mood. I will spend christmas with family and hold them closer than ever before. My Dad recently passed away. I wished I had held the time with him closer and told him I loved him more. I miss him this year. We're sending you hugs and prayers for comfort, Beverly. Praying, too, that on that special day, warm memories will make it a little easier to celebrate...as I'm sure he hopes you will! I love listening Christmas music to get into the Christmas spirit. I also love reading Christmas stories! We're with you, Debbie! Music and books...who can think of a better combination! Thanks for stopping by, and here's wishing you luck in the drawing!